Pixel Avatar is a full service StartUp Branding Agency that helps create a brand identity for your business. With our expert logo designers and their successful design processes you are assured of a quality logo in a shorter span of time. There are two characteristics common to all the famous logos in the world - distinctiveness and simplicity. It is definitely worth investing in a logo- a permanent identity of your business; and the simpler it is; higher is the probability that it will leave a lasting impression in people�s mind. 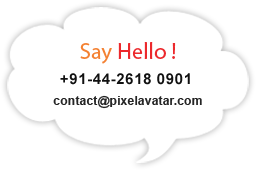 At Pixel Avatar, we are experts at creating customized business logos and Corporate Identity. We specialize in providing corporate design solutions at the best price in the market within a minimum time frame. Our satisfied customers are our biggest and proudest testimony for trusting in us with their multifarious logo design needs. We guarantee your satisfaction with our unmatched design expertise. our business needed. Their work & speed just blew our minds.